Form-based codes are municipal zoning codes that shape development by defining characteristics of building form, streets, and open space as opposed to relying on use as an organizing principle. Resilience-based land use planning can help communities weather hazards like the wildfires that struck Bastrop, TX in 2011. Photo by Joe Wolf, via Flickr. State governments play a key role in addressing the immediate aftermath of disasters. But what can they do to reduce risks before disasters happen—and how can they guide rebuilding to reduce future risks? State leaders sit at the intersection of policy and investment decisions that can ensure long-term state resilience and economic growth. Smart Growth America’s new State Resilience Program, launching today, is a first-of-its-kind initiative offering resources, tools, and guidance for state leaders working to build more resilient places and reduce the risk that natural hazards pose to vulnerable populations and local economies. Drawing on the innovative work of state leaders, federal agencies, and national experts, the State Resilience Program offers resources and guidance representing the cutting edge of land use and engagement strategies for hazard resilience. The Environmental Protection Agency (EPA) announces $4,000,000 in funding for brownfields. The Brownfields Area-Wide Planning Grant program facilitates community involvement as well as the research, training, and technical assistance necessary for brownfields assessment, cleanup, and subsequent reuse. Brownfields area-wide planning grant funding must be directed to specific areas affected by either a single large site or multiple brownfield sites, such as a neighborhood, downtown district, city block, or local commercial corridor. The grant funding will result in an area-wide plan, including implementation strategies, for the brownfields-affected area. The brownfields area-wide plan will inform the assessment, cleanup, and reuse of brownfield properties and promote area-wide revitalization. Thursday, August 9, 1:00-2:30pm ET. 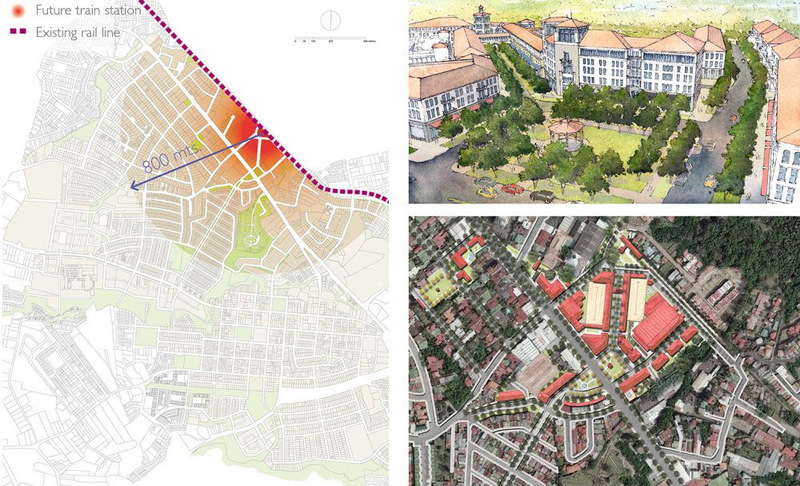 Advancing Livability with Geographic Information Systems. Register here. Tuesday, August 14, 2:00-3:30pm ET. Avoiding the Housing and Transportation Squeeze in Rural and Small Town America. Register here. The Environmental Protection Agency recently announced the 2012 recipients of the Smart Growth Implementation Assistance (SGIA) program. SGIA will provide technical assistance to five communities nationwide that request the EPA’s help in finding the best strategies for sustainable growth. As part of the Partnership for Sustainable Communities, the EPA will be working along with the Department of Transportation (DOT) and the Department of Housing and Urban Development (HUD). The 2012 recipients are: the state of Vermont; Madison County, NY; San Francisco, CA; Spokane Tribe of Indians, WA; and Billings, MT. The Environmental Protection Agency is currently accepting applications for its annual National Award for Smart Growth Achievement, due April 6th, 2012. The award recognizes communities nationwide that have developed successful strategies for promoting and implementing sustainable practices in the economy, housing, transportation, and the environment. The Funders’ Network for Smart Growth, in partnership with the Urban Sustainability Directors Fund, announces the launch of the Local Sustainability Matching Fund. The purpose of the Matching Fund is to catalyze partnerships between local government (city or county) sustainability directors and local, place-based foundations to advance important community-based sustainability initiatives. The Matching Fund is intended both to support significant urban sustainability projects and to build bridges between public sector sustainability leaders and local foundations. The Fund will provide matching investments from national foundations on a competitive basis to build partnerships between sustainability directors and local place-based foundations to advance discrete sustainability initiatives that demonstrate broad-based community support and engagement. It’s that time of year – time to show some LOVE! So tell us, what do you LOVE about your neighborhood? 1000 Friends of Wisconsin has been working for over 15 years to promote Great Neighborhoods. Please share with us what you love about your neighborhood and what makes it a Great Neighborhood!